During this period of time our gate repair & install company has gained great popularity and has become known as the best driveway gate service provider in Bellevue. Our company offers a variety of services and can Repair and install all types of gate openers and devices, new installations, broken gate repairs, hinges welding, post repair, broken hinge repair, Gate track repair, gate wheels repair, safety gate sensor repair install, exit loop installation and repair, and installation of gate motor on existing gate. We offer our customers only top-quality repair services for automatic doors of any type. Our technicians have loads of experience on the gates from all the leading manufacturers and we provide an entire range of servicing and repairs on the gate. 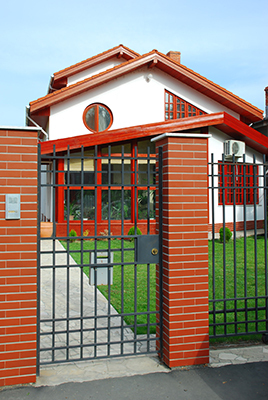 The solutions we deliver as part of our automatic gate repair services are effective and dependable. Furthermore, our team of professionals implements them within the shortest possible time. We service not only swing and sliding gates, but also overhead and roll up models. Panel repair is one of our core areas of specialization and covers iron, steel and wood. With us, you can expect the swiftest and most effective track fix or chain replacement. Our specialists provide the ideal resolution to issues with electronic components from openers to intercoms. With our gate installation service, you will have a brand new system. Via our maintenance service, the system will remain in top shape at all times for the highest possible level of performance, safety and security. We Repair and install all types of gate openers and devices - the procedure is not easy because the gates have to be designed to meet our customer’s expectations and we take that seriously. Some of the designs can be very challenging but we are up to the challenge. That is why professionals like ours should carry out the repair and installation of your gate. Thanks to modern technology in the production of gates and highly skilled professionals working with us since the inception of the company, we offer only high quality services designed to repair the gates and we take full responsibility for our work. 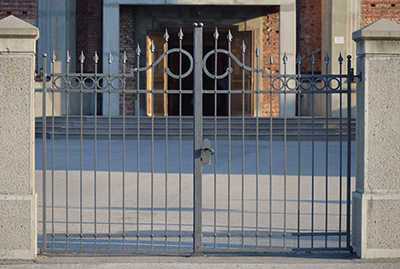 Our driveway gates company specialists are able to not only repair the gates of any type, but also do it in the shortest possible in Bellevue. Our company provides installation service and repairs the broken gates, including installation and automation of the gates of all types, maintenance of the gate, gate hardware upgrades, and start-up operations. Qualified technicians oat our driveway gates company in Bellevue are always ready to answer any questions relating to service and gates wheel repair, as well as to schedule your requests. After receiving your request our specialists will visit you on the site, where they will make a full diagnosis of the gates and its automation. Our specialists provide the repair of gates professionally and efficiently, providing a guarantee on the services we completed. Our driveway gates company repairs the gates of various models, carries the spring replacements of obsolete items and more. Equipment that is responsible for control and automation of entry gates requires a professional approach at all stages of development, preparation and installation - from measurements of the object to the final installation of gates and other equipment, and the proposed Technology groups. Our driveway gates company in Bellevue confidently holds a respectable position in the community. We allow you to pick your own type of gate; our staff takes care of all stages of preparation - from consultation to installation. Other than for gates we also indulge in Pipe corals, retaining walls, fences, railings, doors/gates, window guards, security doors, dog runs, cages etc. A quality installation of gates and any related equipment begins with proper measurements. Specialists in our company are experts in the measuring process. We know how important it is to have exact measurements before you create and then install the product.